uniquely situated to maximize the benefits of solar power. More than 36,000 new and used automotive dealerships operate in the United States. Increasing sales volume and efficiency is hardly the only way to make your dealership profitable. Solar power can help to reduce or eliminate your third largest business expenditure, while also increasing your marketability compared to your peers. Minimizing operational costs is one of the pillars of all successful businesses. How much can solar power affect your bottom line? save your auto dealership money. Make your business more attractive to eco-conscious customers. 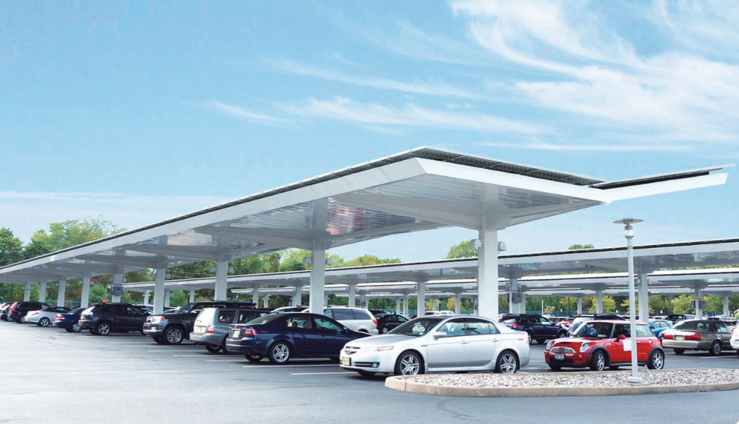 Solar carports provide cover for display lots and power for EV charging stations. Your product requires fossil fuels to operate. Your dealership does not. Learn how TerraSol Energies can improve your auto dealership’s brand. Solar power isn’t for everyone as architecture plays a role in feasibility. But auto dealers are ideally situated to take full advantage of solar energy. Typical dealerships feature offices and showrooms with large, flat roofs – perfect for maximizing solar efficiency. Carports provide the added benefit of weather protection for vehicles, creating even more real estate for solar panel placement. Learn how TerraSol Energies can maximize the architecture of your dealership. Your competition may already be benefiting from the power of solar energy. Learn how TerraSol Energies can help you stay ahead of the competition. 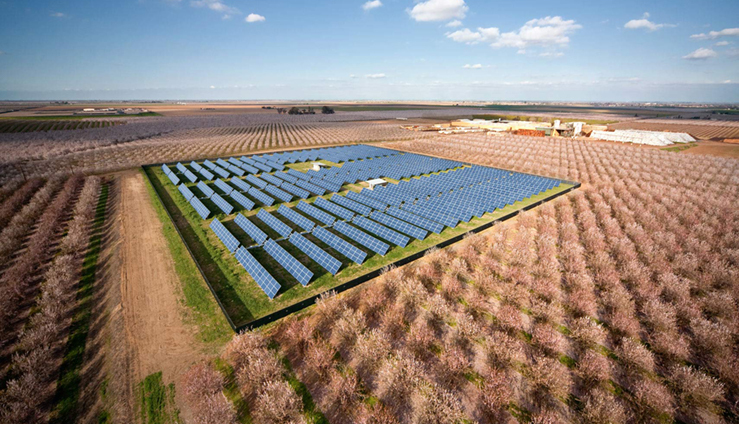 The world’s first fully-integrated commercial solar platform. Get the most out of your rooftop with solar panels that produce 60% more power over the first 25 years. Add versatility to your investment with a solar canopy. Showcase your commitment to sustainability, provide relief from the weather, and trust in the #1 solar panel in independent durability tests. You have the land, we have the power. Write your own destiny with the freedom to gain the most out of your solar system. Solar fields present optimal conditions and characteristics for your system to perform at the highest efficiency possible. Complete the form below to learn how Terrasol Energies can empower your dealership.